"I had a beautiful and unforgettable wedding thanks to the gorgeously designed Vivian wedding dress! 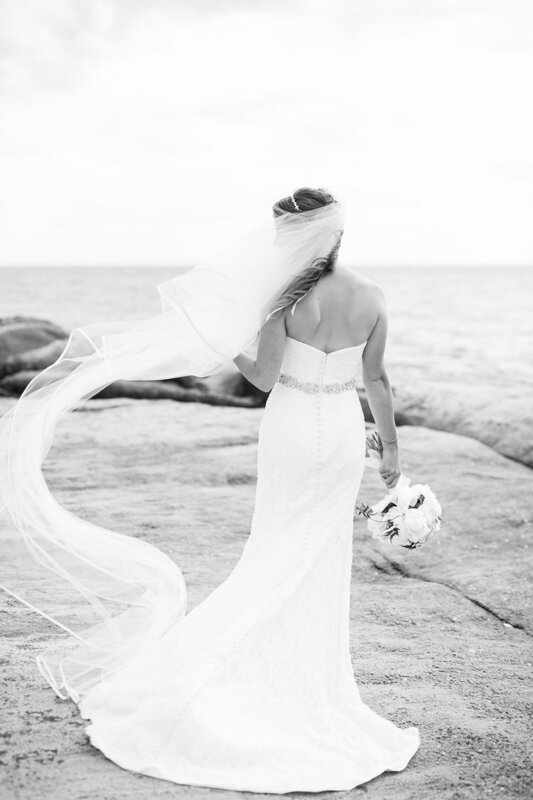 The alencon lace, little sparkles, sweetheart neckline and buttons all the way down the back were exactly what I had always dreamed of wearing on the beach at my wedding. Getting to meet her at Kleinfeld as I found the dress of my dreams with my mom and mother-in-law, made the experience of wedding dress shopping even more special. Thank you again for helping me make my wedding day the happiest of my life!"